Steven (Chicagoland, United States) on 14 January 2013 in Landscape & Rural and Portfolio. 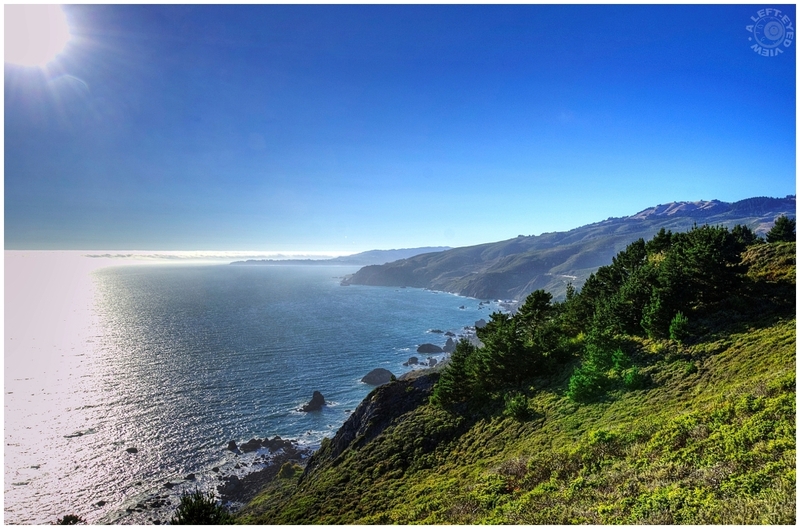 The grand sweep of the continent's edge - from the top of Mount Tamalpais to this bluff above the sea and out to the Farallon Islands - is a seamless span of interdependent plant and animal communities. Habitats converge, species from one habitat feed upon species from another. Dry land gives way to ocean, but the web of life is rich in complexity, crossing harsh boundaries. Most of what you see looks as it did 10,000 years ago. This area is wonderfully preserved. Coyote brush and other vegetation provide cover and food to bobcats, monarch butterflies, and other mammals, reptiles, birds, and insects. The tide pools at the water's edge and the deep waters teem with marine plants and animals, including migrating whales. Superb shot and treatment, even the "hotspot" of the sun looks OK! A beautiful capture of this wonderful perserved nature area. Looks to be a beautiful place to visit and see the beauty of mother nature. Breathtaking view and love the silvery sparkle on the ocean. Wonderful exposure, framing and light. Beautiful colours.. love the framing and clarity. Fantastic - I really love the lens flare and the beautiful ripples cross the water. Excellent shot, Steven! This is FANTASTIC ... beautifully, bright colors and great clarity! Super Blick auf diese Landschaft. Das Licht ist Fantastisch. Superb light, even in a difficult situation. This is a gorgeous image. Great work with framing. Superb photo and what landscape! I like it. Great work Steven. Have a lovely afternoon and amicalement Antoine. Absolutely beautiful! The light on the water is gorgeous! Awesome scenery and photo, Steven. Love the coastline fading off into forever. That is absolutely beautiful...the light and hues of blue...perfect! Beautifull!! I like the dark blue sky and the shadow in the sea...very nice indeed!! Gorgeous light on this seascape.